Pantech, South Korea’s third largest smartphone maker (behind Samsung and LG), has announced its latest flagship handset: the Vega Iron 2. The new handset comes with a powerful quad-core Snapdragon 801 CPU clocked at 2.3GHz, so it’s on par with other flagships in the market today. 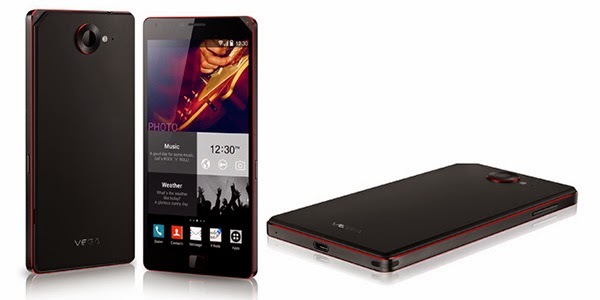 The Pantech Vega Iron 2 sports a 5.3-inch 1080p Super AMOLED display, and runs the latest version of Android 4.4 KitKat. Other features include LTE-Advanced, a 13MP rear camera with what Pantech is calling “Wide Optical Image Stabilization”, 2.1MP front-facing camera, 3GB of RAM, 32GB of internal memory, and a 3,220 mAh battery. Interestingly, Pantech announced the new Vega Iron 2 the same day when LG officially unveiled its the LG Isai FL,which happens to be its first Quad HD smartphone . However, the Isai FL is exclusively made for Japan - although it looks like it can be seen as a precursor to the LG G3, which should be widely available around the world.